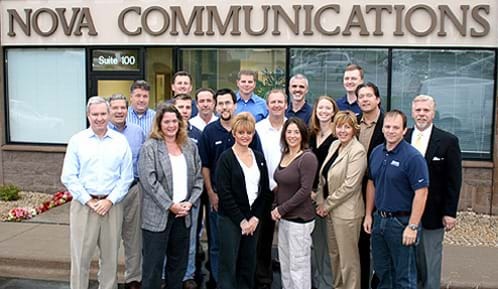 Our experienced salespeople are here to help with your telecommunications needs. Nova Communications uses a comprehensive method to help you identify the products and features that will improve your revenue opportunity, provide the image you would like to project to your customers and prospects, improve the productivity of your staff, increase the efficiency of your operations and provide the tools and products to ensure that "no customer is left behind." Let us work with you so that the voice and data system you choose is a "system for the lifetime of your business." Call us at (952) 473-2100 and select option 2 (Sales). Your business is too important to just provide a price quote based on your current operation, or to provide a "me-too" comparison.